Ilaria Bernardini, nata nel 1977 a Milano, è laureata in Filosofia con una tesi che è un’intervista lunga un anno ad Alda Merini. Scrive sceneggiature per il cinema e la televisione. Scrive per le riviste Amica e GQ. Fa la speaker ed è stata co-autore del programma Very Victoria su Mtv e Victor Victoria su La7. Nascono da una sua idea i programmi Ginnaste-vite parallele e Ballerini, in onda su Mtv. Nel 2005 ha pubblicato Non è niente, il suo primo romanzo, per Baldini & Castoldi, nel 2006 la raccolta di racconti La fine dell’amore, per ISBN. Nel 2008 è uscito il suo romanzo, I Supereroi, per Bompiani, mentre è del 2011 Corpo Libero, pubblicato per Feltrinelli e ora in pre produzione per diventare film, con Indigo. Sempre per Feltrinelli, nel 2013 è uscito, Domenica. Nel 2015 con Hop ha pubblicato la graphic novel La fine dell’amore e con Indiana la raccolta di racconti L’inizio di tutte le cose. A gennaio 2018 è uscito il suo ultimo libro, Faremo Foresta (Mondadori). Sta scrivendo il suo primo libro in lingua inglese. Ilaria Bernardini was born in Milan in 1977. She is a writer and screenwriter, has or has had her own columns on Rolling Stone Magazine, Amica Magazine, GQ, and was, for many years, a writer for the hit Mtv tv show Very Victoria. She has published 8 novels. Her first novel Non è niente was published by Baldini & Castoldi in 2005, followed in 2006 by a collection of short stories La fine dell’amore (ISBN) and by the novel I supereroi in 2009 (Bompiani). Corpo libero (Feltrinelli) was published in 2011. For Fremantle Media she has created the Mtv Series Gymnasts, one of the most successful and awarded Mtv shows of the last few years. Her book Corpo Libero, is currently being adapted in the UK into a movie by Indigo Films. Her novel, Domenica, was published in 2012 by Feltrinelli. 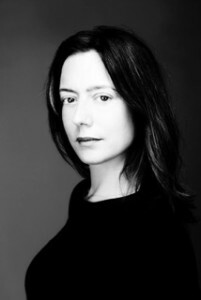 She is a Bafta Nominee and is now working on her new book and on various new tv series. In january 2015 she has published her first graphic novel, with Hop Edizioni. A new collection of her short stories was published by Indiana in june 2015. In January 2018, her last book Faremo Foresta is published by Mondadori. She is currently writing her first book in english.